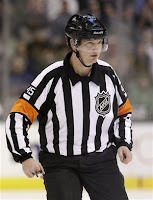 On November 16th in 2010, Marcus Vinnerborg became the first European born referee to officiate a NHL game. The milestone was made in the Lone Star State during a midweek Pacific Division matchup between the Anaheim Ducks and Dallas Stars. Find full video highlights here. 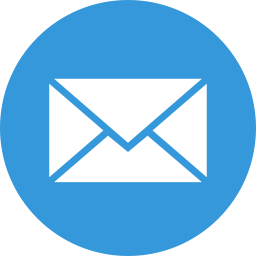 Director of Officiating Terry Gregson elected to add the overseas outsider to the NHL's zeal of zebra six months earlier owing to his puck-umpiring prowess in Sweden's Elitserien and other top-tier tournaments. 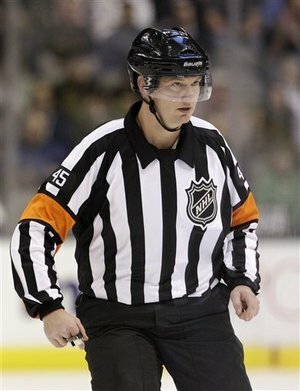 In his inaugural NHL outing, the 37 year old Swede whistled 13 minor and 4 major penalties skating alongside veteran Paul Devorski. He even employed video replay, awarding Brad Richards a third period goal to the rousing approval of the American Airlines Center congregation. Dallas beat the Anaheim Ducks that night by a score of 2-1. Glad to hear you're enjoying the site. Appreciate the feedback.